30 January 1943: Keel laid at the Federal Shipbuilding and Drydock Corp., Port Newark, N.J.
21 June 1943: Launched and christened, sponsored by Mrs. Annie L. Booth; towed by ocean-going tug Sagamore (AT 20) to Norfolk, Va.
21 September 1981: Lost during Typhoon Clara, 79 of her 97 man crew perished. 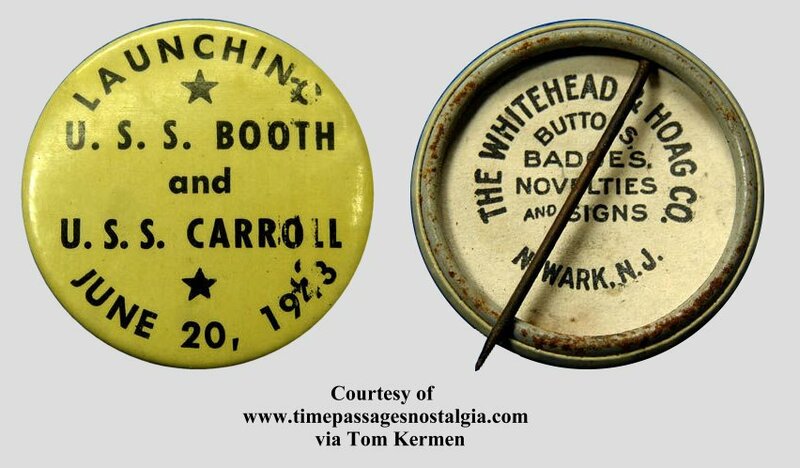 7k Robert Sinclaire Booth, Jr. was born in Hickory, N.C., on 25 January 1915. He attended the University of Maryland, College Park, Md., for three years, majoring in electrical engineering, and among his civilian jobs, worked as an ordinary seaman on ships of the Baltimore Mail and Isthmian Lines that visited ports in France, Germany, Egypt, Arabia, India, Malaya and South Africa. He enlisted in the naval reserve as an apprentice seaman at Washington, D.C., on 09 July 1940, and received training in the auxiliary (ex-battleship) Wyoming (AG 17) (15 July-09 August 1940), receiving an honorable discharge on 09 August 1940. The following day, Booth received an appointment as a midshipman in the Naval Reserve and reported for training duty at the Naval Reserve Midshipman’s School at New York quartered on board Illinois (IX 15). He completed his training on 13 November 1940 and received his commission as an ensign in the naval reserve on the 14th. On 01 December 1940, Ens. Booth reported for duty in Arizona (BB 39). One year later, he was still serving in the battleship in her E [Engineering] Division, with his battle station in the after distribution room on the first platform deck. 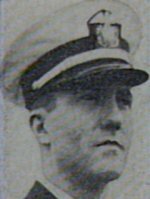 He was among the 1,177 killed on board when Japanese bombs sank Arizona during the surprise attack on Pearl Harbor on 07 December 1941. 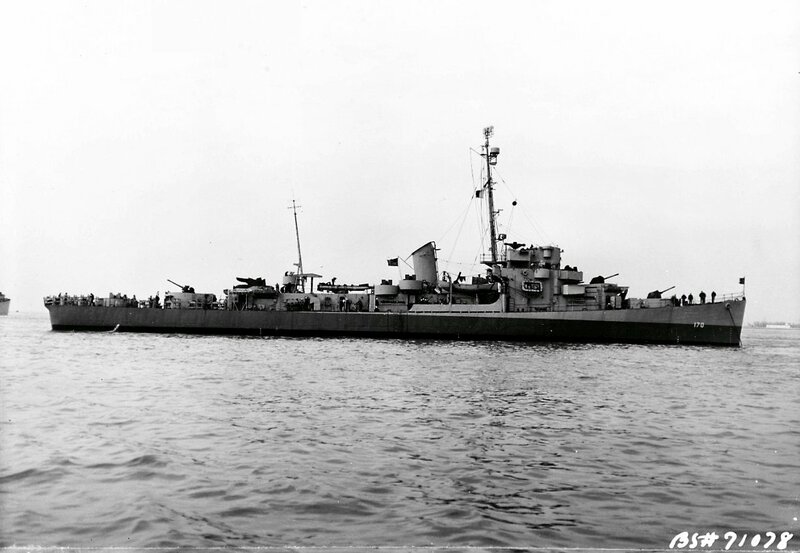 137k 26 April 1944: New York Harbor - USS Booth (DE 170) lays to off the Brooklyn Navy Yard. 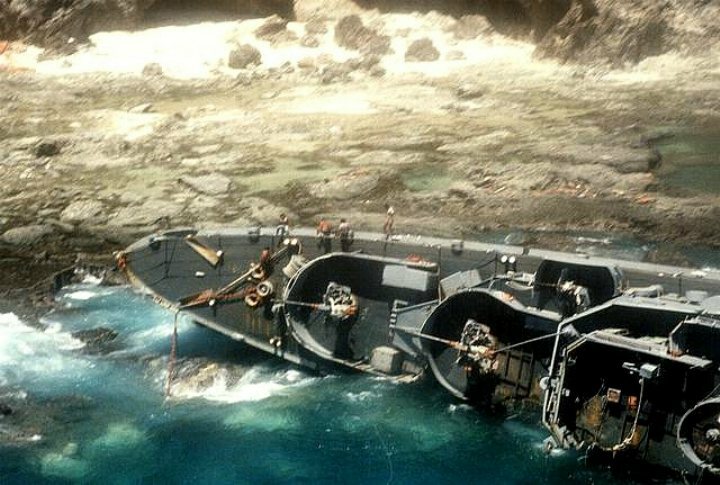 543k 22 September 1981: Calayan Island, Philippines - The foundered frigate BRP Datu Kalantiaw (PS-76, ex-USS Booth) on 22 September 1981. 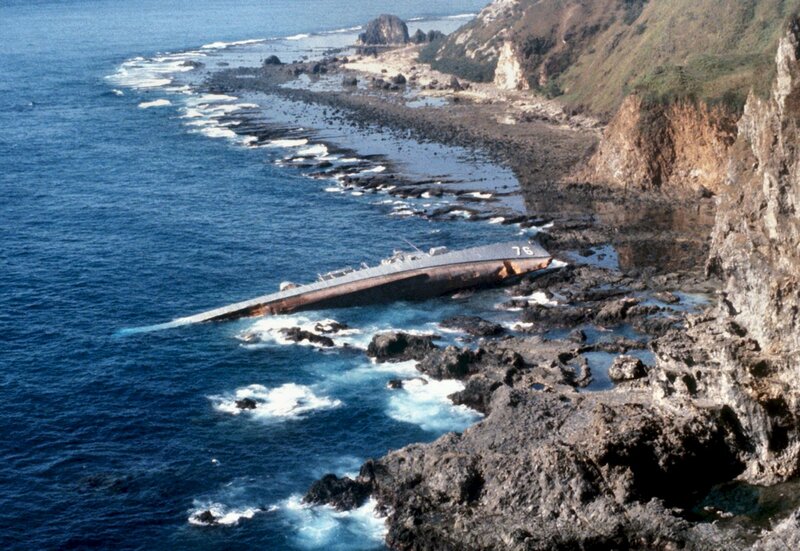 She was driven aground during Typhoon Clara on 21 September 1981 on the rocky northern shore of Calayan Island, in the northern Philippines. 79 of the crew of 97 died. 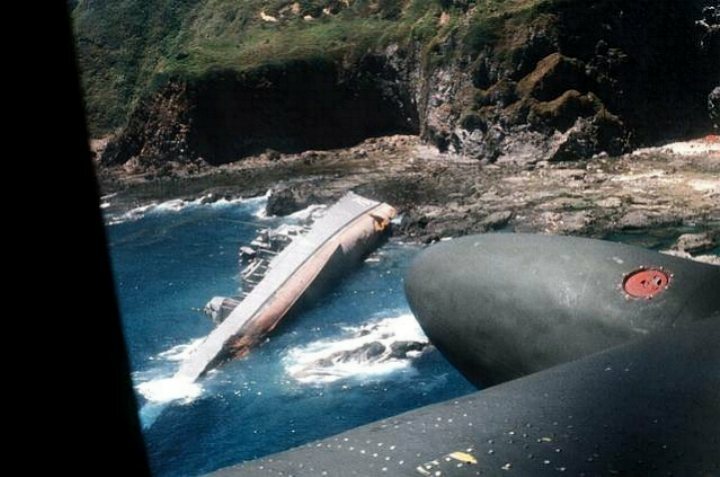 175k 22 September 1981: Calayan Island, Philippines - A view of the capsized Philippine destroyer BRP Datu Kalantiaw (ex-USS Booth DE 170). 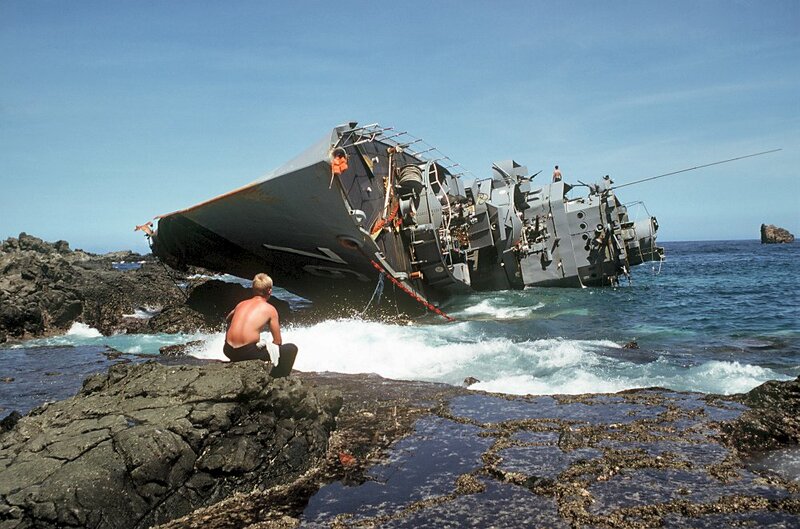 In the foreground, a crewman from the ammunition ship USS Mount Hood (AE 29) takes a break from salvage operations. 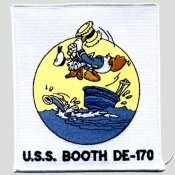 View the USS Booth (DE 170) DANFS history entry located on the Naval History and Heritage Command web site. 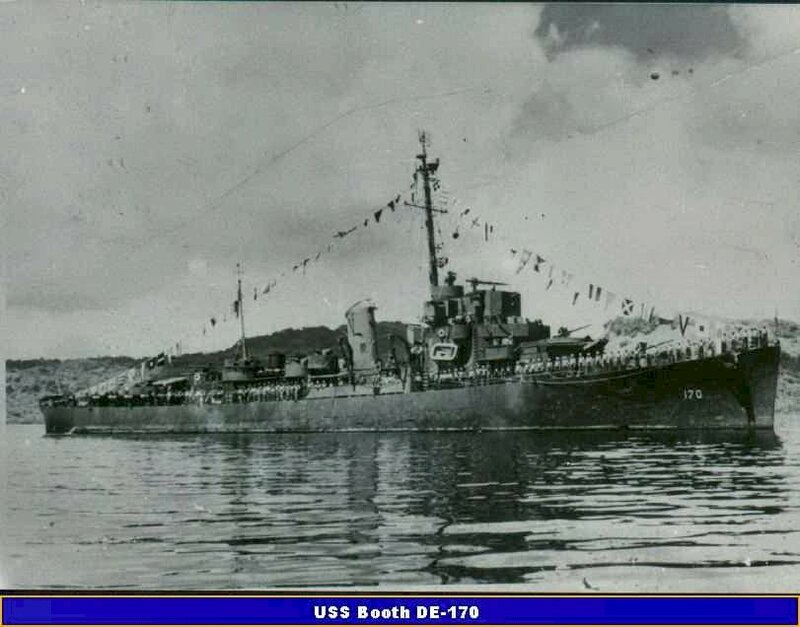 View the official War History of USS Booth as submitted by the ship at war's end.